Leicester City’s hopes of pulling off an upset at Sevilla on Wednesday night took a huge blow as Pablo Sarabia gave the home side the lead. Kasper Schmeichel had already bailed his side out of trouble with a penalty save, but it was only a temporary relief as the Foxes were undone soon after. 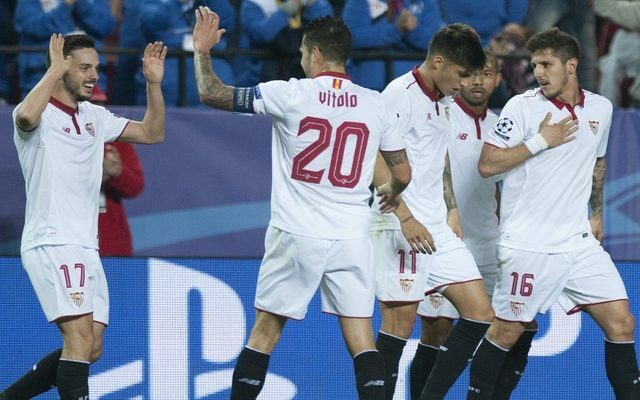 The Dane had yet to concede in the Champions League so far this season, a run of 385 minutes, but it didn’t take Sevilla long to find a way through with a well-worked goal. ¡Nada que hacer para Schmeichel! Así fue la anotación de Pablo Sarabia en el Sánchez Pizjuán. However, questions also have to be raised about the Leicester defending as the cross was allowed to come in with minimal pressure, before Sarabia rose high at the back post to head home. Leicester will be hoping to stay in the tie on Wednesday night ahead of the return leg at the King Power Stadium, but they have a real battle on their hands to keep it tight at the back and avoid falling further behind.